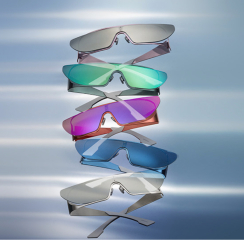 The pop-stars edgy and boundary-pushing style is obvious in the futuristic frame, which ensure at once modern elegance and optimal protection. 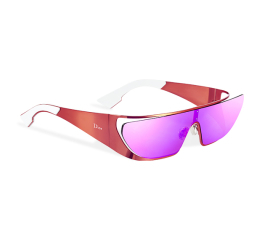 The Rihanna sunglasses have been created and conceived by the artist as a limited edition. The futuristic silver metal frame is openworked to subtly reveal the eyes. 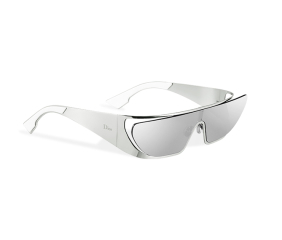 Silver mirrored lenses ensure 100% UV protection. 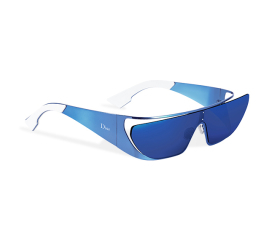 Available in six colors: silver, pink, blue, green and red, which will retail for $840, plus a 24-karat gold-plated edition for $1,950. 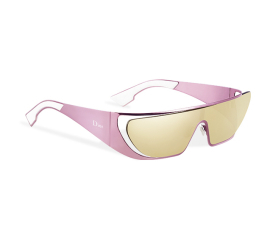 The “Rihanna” collection is sold exclusively at Dior stores.